Amyotrophic lateral sclerosis (ALS) is a relatively rare disease with a reported population incidence of between 1.5 and 2.5 per 100 000 per year. Over the past 10 years, the design of ALS epidemiological studies has evolved to focus on a prospective, population based methodology, employing the El Escorial criteria and multiple sources of data to ensure complete case ascertainment. Five such studies, based in Europe and North America, have been published and show remarkably consistent incidence figures among their respective Caucasian populations. Population based studies have been useful in defining clinical characteristics and prognostic indicators in ALS. However, many epidemiological questions remain that cannot be resolved by any of the existing population based datasets. The working hypotheses is that ALS, like other chronic diseases, is a complex genetic condition, and the relative contributions of individual environmental and genetic factors are likely to be relatively small. Larger studies are required to characterise risks and identify subpopulations that might be suitable for further study. This current paper outlines the contribution of the various population based registers, identifies the limitations of the existing datasets and proposes a mechanism to improve the future design and output of descriptive epidemiological studies. The low incidence of ALS in the general population (1.5 to 2.5 per 100 000 persons per year) hampers the collection of epidemiological data from large numbers of patients.8 Studies based in tertiary referral centres are inherently biased, and in the case of rare diseases such as ALS, can lead to erroneous conclusions. In ALS, a series of population based registers,9–12 mostly from European countries, have attempted to resolve the bias generated by cohort selection. These prospective ALS registers have provided detailed epidemiological and phenotypic data on relatively homogenous populations of approximately 4 million people each, and have provided important insights into the clinical progression of the disease. The working hypotheses is that ALS, like other chronic neurodegenerative diseases such as Parkinson’s disease (PD) and Alzheimer’s disease (AD), is a complex genetic disorder. Identification of subpopulations that share environmental and/or genetic risks is likely to contribute to our understanding of disease pathogenesis, and ultimately lead to the development of new therapies. To achieve this, data on large, well characterised populations must be collected and analysed. However, each register is limited by the relative size of its base population (generating a maximum of 110 new patients per annum each). The purpose of this paper is to explore the contributions and limitations of existing population based registers in ALS research, and outline a way forward for ALS epidemiology that will seek to progress our understanding of the disease and address the limitations of the previous investigations. Diagnostic confirmation required that patients demonstrated symptom progression over a 6 month period and that ALS mimic syndromes (ie, conditions that can phenotypically resemble ALS) were excluded (table 1).14 15 When applied correctly, they have been generally accepted as being both sensitive and specific for ALS. The EEC have been widely employed in epidemiological and genetic research in ALS. However, the use of the EEC remains problematic. Rigid application of the EEC excludes at least 40% of ALS patients from enrolment in clinical trials at presentation, and up to 10% of patients at the time of death.16 This is because the EEC are sensitive to the “extent of disease” rather than to the “burden of disease” and do not discriminate between spinal disease and “bulbar” disease. As bulbar onset disease is associated with a much reduced life expectancy, patients who present with a bulbar phenotype may never fulfil the EEC for “definite ALS”. For this reason, the EEC are not particularly useful as a prognostic device, as evidenced by two separate population based studies,16 17 although it must be acknowledged that this was not the purpose of the classification. The criteria were revised in 1998 (known as the Airlie House Criteria) to include the addition of EMG as a diagnostic tool, the addition of a “laboratory supported” category and the deletion of the “suspected ALS” category.20 Formal validation of the Airlie House Criteria has never been undertaken. However, a number of population based studies have shown that the new criteria are no better than the EEC in selecting patients with a “restricted” form of ALS for clinical trials.16 17 Furthermore, deletion of the “suspected” category has caused difficulties in determining the status of patients with involvement of a single limb, or patients with pure lower motor neuron disease.16 To date, the Airlie House Criteria have not been widely adopted by ALS researchers and most therapeutic trials continue to use the original EEC to determine patient eligibility. In summary, the unquestioning adoption of the EEC as diagnostic criteria for ALS, in the absence of proper validation studies, may have been an error. Furthermore, population based epidemiological studies have shown that the criteria may be excessively restrictive in capturing all patients with ALS, particularly in the context of clinical trial enrolment, and that their reliability needs definitive clarification. Further refining of clinical criteria of ALS should be undertaken in the context of these considerations, and should utilise population based registers rather than tertiary referral cohorts of patients. Figure 1 (A) Age specific incidence of amyotrophic lateral sclerosis for males in four European population based registries. (B) Age specific incidence for females in four European population based registries. Few studies have comprehensively analysed the temporal trends in ALS incidence. Data from Norway show that ALS mortality has increased substantially among the elderly over the past decades.27 In contrast, national US mortality data show a small overall increase in the death rate between 1979 and 1983, with a subsequent plateau.28 There is only one prospective, population based study that examined ALS incidence over time. This study in Rochester, Minnesota, USA, showed the incidence of ALS to be constant at 1.7 per 100 000 person-years between 1925 and 1998.22 Increasing ALS incidence over time has been reported by other non-population based studies,29 but this is almost certainly because of improvements in case ascertainment and diagnostic methods rather than a genuine increase in incidence. Many studies on ALS, including clinical trials, are based on prevalent cases. A recent study conducted in Ireland30 suggests that prevalence cohorts have different characteristics compared with incident cohorts, with fewer patients with bulbar onset and more subjects with age younger than 65 years (see page 30). Therefore, prevalent cohorts select subjects with a better prognosis. This issue has important implications both for collection of DNA for genetic studies and for the recruitment of patients for clinical trials. Figure 2 Male to female ratio of the incidence of amyotrophic lateral sclerosis by mid point in the study period, age adjusted for 1990 US population aged 65–74 years (Spearmann R, p = 0.05). There are several possible explanations for the increasing incidence of ALS among women. From a methodological perspective, the apparent increase may reflect better ascertainment among women compared with previous time periods. Alternatively, a genuine alteration in incidence may be a consequence of a change in prevalence of risk factors across genders. Socioeconomic changes during the past century mean that women are increasingly exposed to the same occupational and environmental risk factors as men. For example, two case control studies have reported an increased risk for ALS among smokers,45 46 and the increased prevalence of smoking among women in the past decades could partially explain the increase in ALS incidence among women. This hypothesis remains to be verified in a larger case control study. Only population based prospective studies can adequately determine survival of ALS and assess prognostic factors.16 17 47 Strikingly similar survival and prognostic data have been published from three population based studies, two in Italy and one in Ireland. The cumulative probability of surviving after diagnosis was 78% at 12 months, 56% at 24 months and 32% at 48 months. Population based median survival times in Europe were 19 months from first symptoms (range 16–31) and 30 months from diagnosis (range 27–39). Negative prognostic indicators included site of disease onset, older age and progression rate of respiratory, bulbar and lower limb symptoms. In summary, prognostic indicators are best identified from population based studies, as the data are least likely to be affected by bias. The observation that early disease progression is indicative of overall prognosis is of specific clinical relevance in discussing outcome with individual patients. In addition, sniff nasal inspiratory pressure should be incorporated as an adjunct standard measure of respiratory dysfunction in ALS. Finally, the general consensus is that ALS prognosis is improving, but data from two population based studies seem to show a different picture. A recent report from the Scottish Registry described a decline in survival after ALS diagnosis (2.4 months) between 1989 and 199850 despite the introduction of riluzole and percutaneous endoscopic gastrostomy. No increase in suicide or change in practice in the last period of life seemed to emerge from these data. Interestingly, another report from Rochester in the US showed no improvement in survival comparing survival before and after 1990.22 These intriguing data on prognosis need to be confirmed, and possible causes of this trend should be explored. As ALS is a relatively rare condition, it is most efficiently managed in a tertiary referral centre. Specialist multidisciplinary clinics provide tertiary services to patients with ALS. These clinics comprise a wide range of clinical professional specialists with expertise in ALS. Ideally, such clinics provide both diagnostic and management services, and facilitate continuity of care by liaising with the primary care clinician and community based services.51 52 However, patients who attend multidisciplinary clinics tend to be younger and to have longer duration illness,52 53 and accordingly “clinic cohorts” are not considered representative of the general population of ALS. Additionally, familial ALS tends to be over represented in tertiary clinic populations,52 53 and comparison between clinic based cohorts and population based cohorts of patients have confirmed a referral bias.52 53 Outcome data from tertiary clinics must thus be interpreted with caution. Two population based studies have demonstrated an independent survival benefit for patients who attend multidisciplinary ALS clinics. This benefit is independent of other prognostic factors including age, disease duration, bulbar onset disease and rate of progression.52 54 Additionally, one study has shown that patients attending a multidisciplinary clinic have fewer hospital admissions and shorter durations of stay than those who attend general clinics.54 Increased use of non-invasive ventilation, attention to nutrition and earlier referral to palliative referral services are likely to contribute to the increased survival of those attending multidisciplinary clinics.52 54 These observations, which are only possible by the interrogation of population based registers, provide robust support for increased investment in multidisciplinary clinics for ALS in countries with nationalised health services. The use of population based studies to determine the clinical effectiveness of riluzole is particularly relevant when national health authorities debate the funding of relatively costly medications. Despite this, there has been a surprising lack of effort to develop further insights into the clinical use and efficacy of riluzole, either from the pharmaceutical industry or among academicians. A population based registry is designed to detect all cases of a specific disease in a population defined by geographic boundaries, and this methodology has contributed significantly to our clinical knowledge of rare conditions, such as ALS. The key design feature of a registry is its use of multiple sources of information on ALS patients to minimise the possibility that ascertainment will be biased according to the clinical practice of survey centres. The ability of this multifaceted approach to identify all ALS cases in a population has been confirmed by data from Ireland and Scotland with the use of the capture–recapture method.58 However, it remains possible that some groups of patients, such as the extremely old, are missed by the existing surveillance system. Despite their success, several limitations of population based design are recognised. The reliability of the EEC criteria, which are used to determine eligibility for enrolment on the registers, is a function of the expertise and training of those who collect the data.18 19 Reviewers of medical records must have been adequately trained and validated in category designation. Furthermore, comparison across populations requires a validation process to ensure inter-rater reliability. However, the greatest concern in patient ascertainment is the introduction of new data protection laws within Europe which threaten to impede data collection. In some countries, written informed consent must now be obtained from all individuals included on the registry, and the exact purpose of the registry must be stated and registered with a national data protection agency. Accessing files from multiple different agencies to permit “capture–recapture” analysis requires ethical submissions to multiple authorities, which is time consuming and expensive. 2.2 Risk identification in ALS: are registers useful? A large number of putative environmental and lifestyle risk factors have been suggested in ALS,59 including heavy manual labour, smoking and previous trauma.36 43 46 60–72 Only one possible protective risk factor, vitamin E, has been identified to date.64 Unfortunately, the majority of analytical epidemiological ALS research is inconclusive because of poor study design, lack of replication studies and the enrolment of insufficient numbers to achieve sufficient power. With the exception of the studies of Italian football players (relative risk of 6.5),63 the relative risk identified in most studies has been less than 2, and large numbers are required to identify a weak effect. Studies of familial aggregation and twin studies are powerful techniques to determine whether a disease is genetic or environmental in nature. Such studies have been widely used in other neurodegenerative diseases, such as AD and PD,73–76 but there are relatively few genetic epidemiological studies in ALS. A non-population based study conducted on a clinical series of 151 mainly sporadic ALS cases examined the association of ALS with PD and dementia.5 The risk of dementia was significantly higher in the relatives of ALS patients than in those of controls (relative risk (RR) 1.9; 95% CI 1.1 to 3.1). The risk of PD was high in relatives of patients with familial ALS (RR 5.6; 95% CI 0.6 to 50.3) and with sporadic ALS (RR 1.8; 95% CI 0.5 to 6.0), but did not reach statistical significance. These findings suggest a shared genetic susceptibility of ALS and dementia and perhaps PD. Similarly, a study in Sweden based on 92 cases and 372 controls found an increased risk for ALS in the presence of an association of positive family history for neurodegenerative disorders, exposure to metals and male gender.37 A large population based study is required to confirm this finding. Similarly, twin studies are a well established genetic epidemiological technique employed to determine the relative contribution of genetics and environment to the cause of a disease.74 76 The only twin study in ALS (based on death certificates from the UK) found the hereditability of ALS to be between 0.38 and 0.85, supporting the hypothesis that sporadic ALS is genetic in aetiology.77 To date, this study has not been replicated. Are ALS and frontotemporal dementia related diseases? Reliable data on the frequency of ALS, FTD and the overlap between these two syndromes within the same population based setting are missing. A large prospective, population based study will help delineate the nature and frequency of frontal involvement in ALS and may expand our definition of the clinical ALS syndrome. The emergence of population based datasets over the past 10 years has contributed substantially to the clinical knowledge of ALS. However, the limitations of small population based registries are all too apparent. Large, well characterised populations are required to provide adequately powered data on environmental and genetic susceptibility. The EURALS consortium, which was established to provide a mechanism for large scale descriptive epidemiology, draws from a population of over 25 million Europeans. It is the largest ever population based dataset of ALS and will have the capability of conducting large scale case controlled studies of sufficient power on both environmental and genetic risk factors to resolve many of the existing controversies in ALS research. The authors are indebted to the patients, research collaborators and neurologists of the European registries: the Irish Motor Neuron Registry; PARALS (Piemonte/Valle d’Aosta, Italy); SLALOM (Lombardia, Italy); SLAP (Puglia, Italy); and the Scottish MND Register. Ettore Beghi (Milano and Monza, Italy) (chairman), Adriano Chiò (Torino, Italy), Giancarlo Logroscino (Boston, USA), Orla Hardiman (Dublin, Ireland), Elena Herrero Hernandez (Torino, Italy), Maurizio Leone (Novara, Italy), Andrea Millul (Milano, Italy), Douglas Mitchell (Preston, UK), Teresa Salas (Madrid, Spain), Jesus Esteban (Madrid, Spain), Zorica Stevic (Belgrade, Serbia and Montenegro), Robert Swingler (Dundee, UK), Bryan Traynor (Dublin, Ireland and Washington DC, USA), Ammar Al-Chalabi (London, UK), Nigel Leigh (London, UK), Philippe Couratier, Frédéric Torny, Mathieu Lacoste (Limoges, France), Victor Patterson (Belfast, UK) Vivian Drory (Tel Aviv, Israel), Veronica Skvortsova (Moscow, Russia) and Marianne de Visser (ENMC).
. Amyotrophic lateral sclerosis. N Engl J Med 2001;344:1688–700.
. Phenotypic heterogeneity in motor neuron disease patients with CuZn-superoxide dismutase mutations in Scandinavia. Brain 1997;120(Pt 10):1723–37.
. Prevalence and patterns of cognitive impairment in sporadic ALS. Neurology 2005;65:586–90.
. Familial amyotrophic lateral sclerosis with frontotemporal dementia is linked to a locus on chromosome 9p13.2–21.3. Brain 2006;129:868–76.
. Familial aggregation of amyotrophic lateral sclerosis, dementia, and Parkinson’s disease: evidence of shared genetic susceptibility. Neurology 1994;44:1872–7.
. DJ-1 mutations and parkinsonism–dementia–amyotrophic lateral sclerosis complex. Ann Neurol 2005;58:803–7.
. Complex genetics of amyotrophic lateral sclerosis. Am J Hum Genet 2004;75:933–47.
. Neuroepidemiology of amyotrophic lateral sclerosis: clues to etiology and pathogenesis. J Neurol Neurosurg Psychiatry 1996;61:131–7.
. ,Warlow CP. Motor neuron disease and polio in Scotland. J Neurol Neurosurg Psychiatry 1992;55:1116–20.
. Incidence and prevalence of ALS in Ireland, 1995–1997: A population-based study. Neurology 1999;52:504–9.
. Incidence of amyotrophic lateral sclerosis in southern Italy: a population based study. J Neurol Neurosurg Psychiatry 2005;76:1094–8. Piemonte and Valle d’Aosta Register for Amyotrophic Lateral Sclerosis (PARALS). Incidence of ALS in Italy. Evidence for a uniform frequency in Western countries. Neurology 2001;56:239–44. World Federation of Neurology Subcommittee on Motor Neuron Disease. EL Escorial World Federation of Neurology criteria for the diagnosis of amytrophic lateral sclerosis. J Neurosurg 1994;124(Suppl):98–107.
. Amyotrophic lateral sclerosis mimic syndromes: a population-based study. Arch Neurol 2000;57:109–13.
. Avoiding false positive diagnoses of motor neuron disease: lessons from the Scottish Motor Neuron Disease Register. J Neurol Neurosurg Psychiatry 1996;60:147–51.
. Clinical features of amyotrophic lateral sclerosis according to the El Escorial and Airlie House diagnostic criteria: A population-based study. Arch Neurology 2000;57:1171–6.
. Prognosis in amyotrophic lateral sclerosis: a population-based study. Neurology 2003;61:1826–7.
. Reliability of the El Escorial diagnostic criteria for amyotrophic lateral sclerosis. Neuroepidemiology 2002;21:265–70.
. Are the El Escorial and revised El Escorial criteria for ALS reproducible? A study of inter-observer agreement. Amyotroph Lateral Scler Other Motor Neuron Disord 2001;2:135–8.
. El Escorial revisited: revised criteria for the diagnosis of amyotrophic lateral sclerosis. Amyotroph Lateral Scler Other Motor Neuron Disord 2000;1:293–9.
. Follow-up study of amyotrophic lateral sclerosis in Rochester, Minn, 1925 through 1984. Neuroepidemiology 1986;5:61–70.
. Amyotrophic lateral sclerosis in Olmsted County, Minnesota, 1925 to 1998. Neurology 2002;59:280–2.
. Occupational exposure and amyotrophic lateral sclerosis: A population-based case-control study. Am J Epidemiol 1997;145:1076–88.
. Amyotrophic lateral sclerosis, heterogeneous susceptibility, trauma, and epidemiology. Arch Neurol 1996;53:225–7.
. Longitudinal Gompertzian analysis of ALS mortality in England and Wales, 1963–1989: estimates of susceptibility in the general population. Mech Ageing Dev 1992;64:201–16.
. Apolipoprotein E epsilon4 count affects age at onset of Alzheimer disease, but not lifetime susceptibility: The Cache County Study. Arch Gen Psychiatry 2004;61:518–24.
. Increasing mortality from amyotrophic lateral sclerosis in Norway? Neurology 2000;55:1–6.
. Amyotrophic lateral sclerosis mortality in the United States, 1979–2001. Neuroepidemiology 2005;25:144–52.
. Changes in the incidence of amyotrophic lateral sclerosis in Israel. Arch Neurol 1984;41:157–60.
. Epidemiology and clinical features of amyotrophic lateral sclerosis in Ireland between 1995 and 2004. J Neurol Neurosurg Psychiatry 2008;79:30–2.
. Studies on epidemiological, clinical, and etiological aspects of ALS disease in Sardinia, Southern Italy. Acta Neurol Scand 1977;55:231–44.
. ALS in Rochester, Minnesota, 1925–1977. Neurology 1980;30:463–70.
. Incidence and prevalence of amyotrophic lateral sclerosis in Harris County, Texas, 1985–1988. Arch Neurol 1991;48:589–93. The Scottish Motor Neuron Disease Register. A prospective study of adult onset motor neuron disease in Scotland. Methodology, demography and clinical features of incident cases in 1989. J Neurol Neurosurg Psychiatry 1992;55:536–41.
. A cross-sectional and cohort study of motor neuron disease in Piedmont, Italy. In: Rose FC, ed. New evidence in MND/ALS research. London: Smith-Gordon, 1991:59–62.
. Epidemiological survey of amyotrophic lateral sclerosis in the province of Reggio Emilia, Italy: influence of environmental exposure to lead. Neuroepidemiology 1996;15:301–12.
. An epidemic-like cluster of motor neuron disease in a Swedish county during the period 1973–1984. Neuroepidemiology 1996;15:142–52.
. Incidence and prevalence of motor neuron disease in two Danish counties. Neuroepidemiology 1989;8:151–9.
. The incidence of amyotrophic lateral sclerosis in southwestern Ontario, Canada. Neurology 1986;36:1524–8.
. Amyotrophic lateral sclerosis in Middle-Finland: an epidemiological study. Acta Neurol Scand 1983;67:41–7.
. Geographical epidemiology of residence of patients with motor neuron disease in Lancashire and south Cumbria. J Neurol Neurosurg Psychiatry 1998;65:842–7.
. Epidemiology of motor neuron disease in northern Sweden. Acta Neurol Scand 1983;68:20–9.
. Motor neuron disease and heavy manual labor: an epidemiologic survey of Varmland County, Sweden. 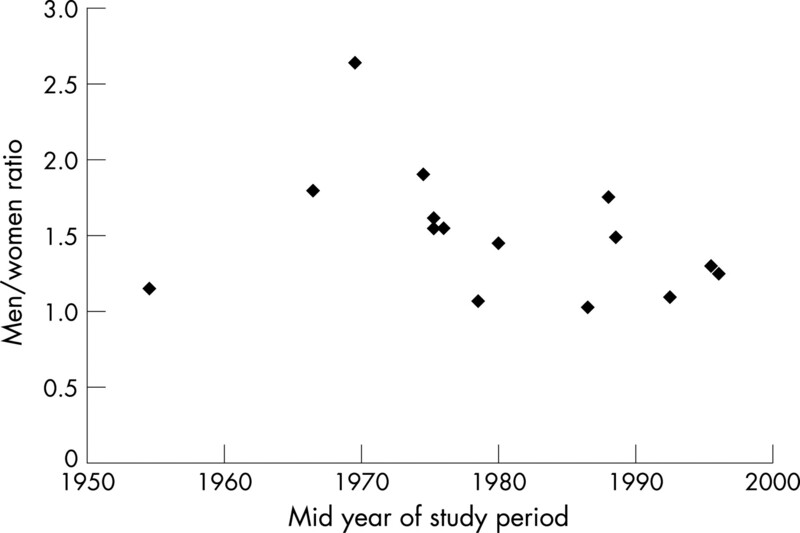 Neuroepidemiology 1984;3:195–206.
. Epidemiology of ALS. In: Mitsumoto H, Przedborski S, Gordon P, eds. Amyotrophic lateral sclerosis. New York: Taylor and Francis, 2006:17–41.
. Association of cigarette smoking with amyotrophic lateral sclerosis. Neuroepidemiology 1999;18:194–202.
. Population-based case-control study of amyotrophic lateral sclerosis in western Washington state. I. Cigarette smoking and alcohol consumption. Am J Epidemiol 2000;151:156–63.
. Survival of patients with amyotrophic lateral sclerosis in a population-based registry. Neuroepidemiology 2005;25:114–19.
. Forced vital capacity (FVC) as an indicator of survival and disease progression in an ALS clinic population. J Neurol Neurosurg Psychiatry 2006;77:390–2.
. Use of Sniff nasal-inspiratory force to predict survival in amyotrophic lateral sclerosis. Am J Respir Crit Care Med 2005;171:269–74.
. Unexpected decline in survival from amyotrophic lateral sclerosis/motor neurone disease. J Neurol Neurosurg Psychiatry 2004;75:1753–5.
. Amyotrophic lateral sclerosis care in Italy: a nationwide study in neurological centers. J Neurol Sci 2001;191:145–50.
. Effect of a multidisciplinary amyotrophic lateral sclerosis (ALS) clinic on ALS survival: a population based study, 1996–2000. J Neurol Neurosurg Psychiatry 2003;74:1258–61.
. Prognosis of amyotrophic lateral sclerosis and the effect of referral selection. J Neurol Sci 1995;132:207–15.
. Positive effects of tertiary centres for amyotrophic lateral sclerosis on outcome and use of hospital facilities. J Neurol Neurosurg Psychiatry 2006;77:948–50.
. An outcome study of riluzole in amyotrophic lateral sclerosis—a population-based study in Ireland, 1996–2000. J Neurol 2003;250:473–9.
. Riluzole and amyotrophic lateral sclerosis survival: a population-based study in Southern Italy. Neurology 2006;66(Suppl 2):A231.
. Audit of outcomes in motor neuron disease (MND) patients treated with riluzole. Amyotroph Lateral Scler 2006;7:67–71.
. The incidence of motor neuron disease in Scotland J Neurol 2007;254:866–9.
. An evidence-based medicine approach to the evaluation of the role of exogenous risk factors in sporadic amyotrophic lateral sclerosis. Neuroepidemiology 2003;22:217–28.
. Prospective study of occupation and amyotrophic lateral sclerosis mortality. Am J Epidemiol 2005;162:1146–52.
. Amyotrophic lateral sclerosis, rural environment and agricultural work in the Local Health District of Ferrara, Italy, in the years 1964–1998. J Neurol 2005;252:1322–7.
. Physical activity and the association with sporadic ALS. Neurology 2005;64:241–5.
. Severely increased risk of amyotrophic lateral sclerosis among Italian professional football players. Brain 2005;128:472–6.
. Vitamin E intake and risk of amyotrophic lateral sclerosis. Ann Neurol 2005;57:104–10.
. Prospective study of cigarette smoking and amyotrophic lateral sclerosis. Am J Epidemiol 2004;160:26–33.
. Premorbid weight, body mass, and varsity athletics in ALS. Neurology 2002;59:773–5.
. Dietary intake of calcium, magnesium and antioxidants in relation to risk of amyotrophic lateral sclerosis. Neuroepidemiology 2000;19:210–16.
. Population-based case-control study of amyotrophic lateral sclerosis in western Washington State. II. Diet. Am J Epidemiol 2000;151:164–73.
. Mechanical trauma as a risk factor in classic amyotrophic lateral sclerosis: lack of epidemiologic evidence. J Neurol Sci 1992;113:133–43.
. Environmental exposure to trace elements and risk of amyotrophic lateral sclerosis: A population-based case-control study. Environ Res Section A 2002;89:116–23.
. Risk of amyotrophic lateral sclerosis and history of physical activity: a population-based case-control study. Arch Neurol 1998;55:201–6.
. Amyotrophic lateral sclerosis and history of skeletal fracture: a case-control study. Neurology 1987;37:717–19.
. Familial aggregation in Alzheimer’s disease: comparison of risk among relatives of early-and late-onset cases, and among male and female relatives in successive generations. Neurology 1988;38:207–12.
. Parkinson disease in twins: an etiologic study. JAMA 1999;281:341–6.
. Familial aggregation of early- and late-onset Parkinson’s disease. Ann Neurol 2003;54:507–13.
. How heritable is Alzheimer’s disease late in life? Findings from Swedish twins. Ann Neurol 2004;55:180–5.
. British motor neuron disease twin study. J Neurol Neurosurg Psychiatry 1997;62:562–9.
. Familial frontotemporal dementia with ubiquitin-positive inclusions is linked to chromosome 17q21–22. Brain 2001;124:1948–57.
. Prevalence and correlates of neuropsychological deficits in amyotrophic lateral sclerosis. J Neurol Neurosurg Psychiatry 1996;61:450–5.
. Are amyotrophic lateral sclerosis patients cognitively normal? Neurology 2003;60:1094–7.
. A prospective study of cognitive impairment in ALS. Neurology 1999;53:1665–70.
. Ubiquitinated TDP-43 in frontotemporal lobar degeneration and amyotrophic lateral sclerosis. Science 2006;314:130–3.
. Linkage of familial amyotrophic lateral sclerosis with frontotemporal dementia to chromosome 9q21–q22. JAMA 2000;284:1664–9.